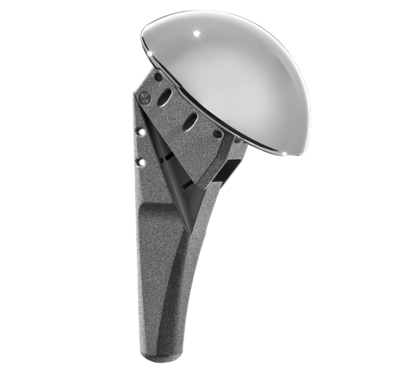 The Univers Apex system represents the evolution of Arthrex’s shoulder arthroplasty systems. The Univers Apex system introduces advanced features important in the treatment of all total shoulder patients, while maintaining all of the in situ variable adjustment capabilities (inclination, version and head offset) of the Univers™ II total shoulder system. 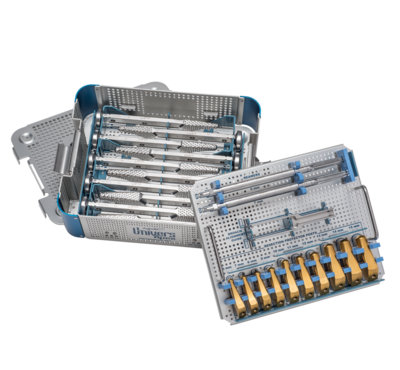 The reduced diaphyseal stem length, rectangular stem body and removable trunion optimize stem removal and therefore revisability. 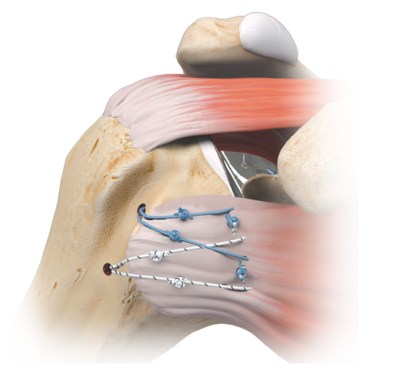 In addition, strategically incorporated suture eyelets allow for unique subscapularis repair options. The Univers Apex system is compatible with the entire Univers Glenoid family (Peg, Keel and Univers VaultLock® glenoids), as well as with the Univers II Humeral Head and CA (cuff arthropathy) head options. 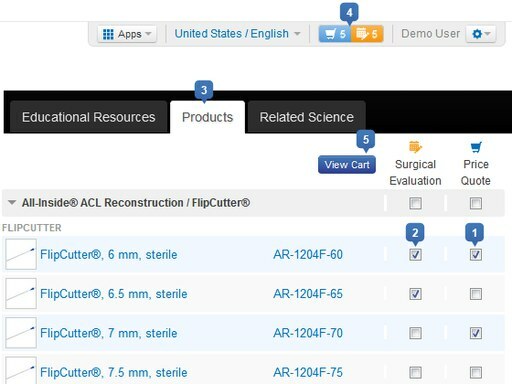 With the Arthrex focus on intraoperative adaptability, the Univers Apex system restores normal patient glenohumeral anatomy in a stable, press-fit solution, while enabling efficient and bone-conserving extraction, when necessary.